I have been eating and talking about corn for the past few years in this blog. 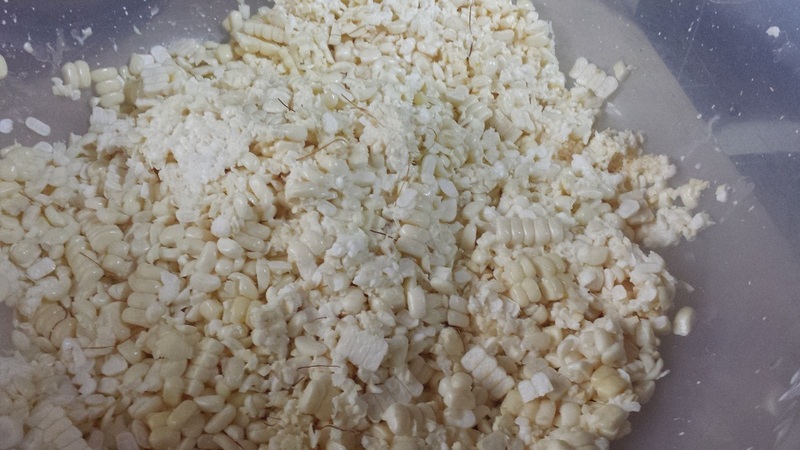 I repeatedly mention that one of my favorites is the white corn, or maize, the starchy version of the yellow corn. 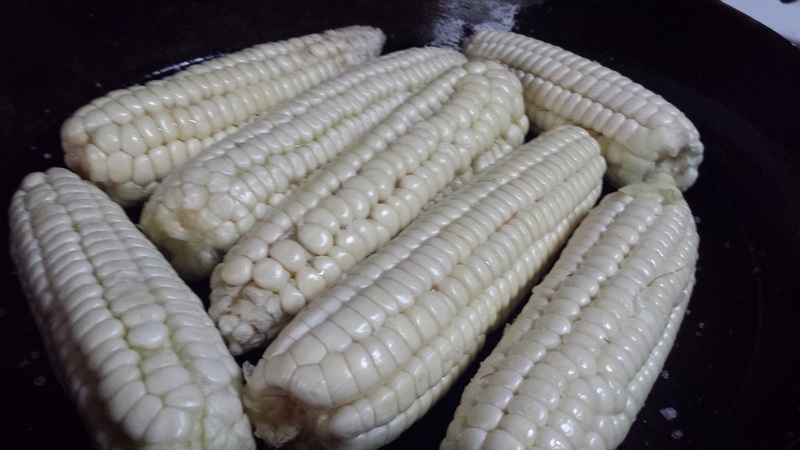 We spotted some recently and I stole some of the small ears to grill with simply because I miss grilled corn that we buy from the road side in Tarlac or on our way to Tagaytay. So on a cast iron pan, I put some of the grilled corn, along with some salt. It was grilled slowly, until toasty and charred on some. The corn was very young and very small, so not as clean of a bite as I am used to. But the crunchy delicious bite is there. 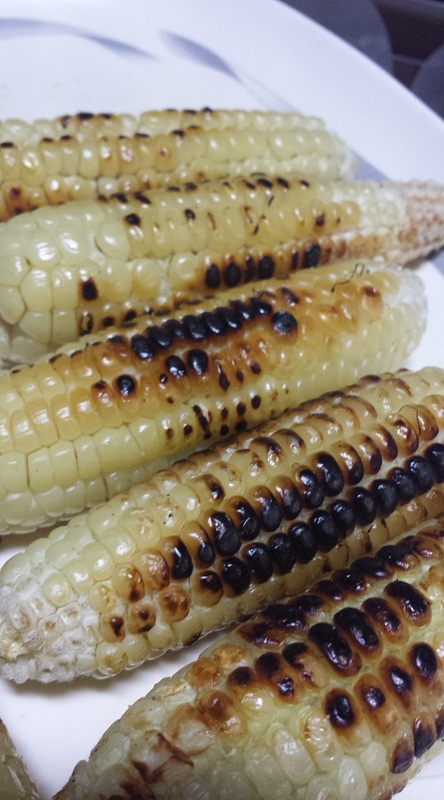 I really wish I can do this with the usual yellow corn too (with the last batch I bought steamed immediately before I could say anything). But grilling stuff is always delightful, though the heat is sometimes unbearable. But worth it.